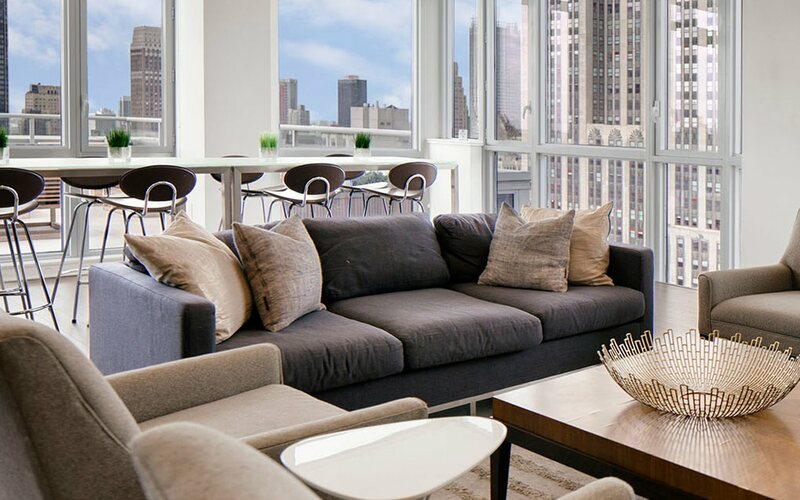 The Dylan on Fifth may rise more than 30 stories above the bustling city of Manhattan; but inside, it's a distinctly calm and intimate oasis with no more than six homes per floor. The amenities at The Dylan are extraordinary: sunbathe on the sky deck or enjoy a glass of wine at the rooftop lounge, under the canopy of the Empire State Building. Your home at The Dylan is your sanctuary and the beautifully designed common areas are your retreat.